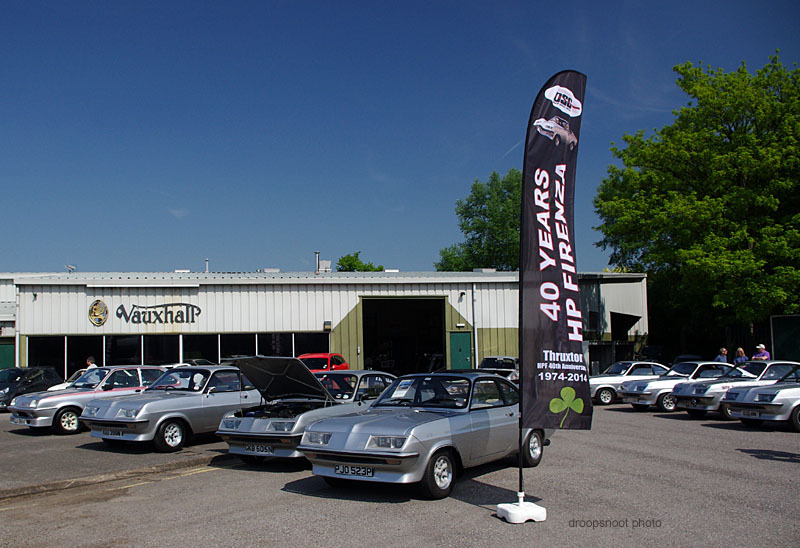 I've got a number of new and used parts available for the Vauxhall Firenza, and in some cases these are also suitable for the Viva and Magnum models, and sometimes some others. Have a look at the Items for sale page for more information. New items recently available include a set of water-slide decals for the logos on the heater controls for the whole HC range (Viva / Magnum / Firenza), and similar decals to simulate the etched logos on the HPF and Sportshatch headlamp cover panels if (like me) you prefer to not fit the irreplaceable glass covers. I've also recently had some front brake disc shields made for the OHV-engined Viva HC range which might also fit the HB, and now have a mould to make resin copies of the "Avon Safety Wheel" centre medallions as used on the HP Firenza and Sportshatch. The Vauxhall Firenza was introduced by Vauxhall Motors in 1971 as a fastback version of the popular Vauxhall Viva saloon. Initially the engine size was 1159cc, which was soon joined by two models featuring the overhead-cam engine with capacities of 1599 and 1975cc. Shortly afterwards, the capacities were increased to 1256cc, 1799cc and 2279cc. At the 1973 Motor Show, the Vauxhall stand featured a radical re-style on the Firenza coupe, the High-Performance Firenza featured a tuned engine, five-speed gearbox and an aerodynamic front end with glass-covered Cibie headlamps. Although the visual changes were quite limited in number, they had a major effect in changing the look of the vehicle, a look which was to remain in other Vauxhall products for years to come. The HP Firenza became known as the "Droopsnoot Firenza" because of the way the front end sloped to a point. But the HP Firenza was not just a styling exercise - far from it. The engine was modified to feature a competition cylinder head and camshaft, the exhaust system featured a tubular manifold to help the new head "breathe" properly, the suspension was modified and the front brake discs enlarged. The gearbox was replaced with a five-speed unit manufactured by ZF in Germany, which had an unusual gear pattern where first was to the left and the rear of the car. Interior trim was unique to the HP Firenza with a light grey cloth helping to lighten the otherwise all-black interior, special cast-alloy wheels featured the then-new Avon Safety Wheel design which keeps the tyre on the rim the case of a puncture. The front end was where most of the work went on, however, with the standard front wings being cut back to accept a one-piece fibreglass nosecone moulding. This in turn had two pairs of rectangular headlamps fitted behind glass panels, and finished off with a special reinforced fibreglass bumper. In 1974, Vauxhall showed a prototype estate version of the High Performance Firenza, featuring the distinctive nosecone and alloy wheels from that car. In 1975, what became known as the "Sportshatch" was released to no fanfare at all. No brochure was produced, the model was never shown on a price list, but the cars started appearing in dealerships. Painted in a very dark red colour with bright red stripes and red tartan interior, the point of the Sportshatch was to generate interest in the showroom that would hopefully rub off on general Vauxhall sales. Fewer than two hundred Sportshatches were made, and very few remain in a roadworthy condition now. My interest in the Firenza dates back to when I bought my first car. In a twist of fate I bought a yellow Vauxhall Viva saloon, which lasted me for some time until I bought my first Firenza coupe. This was followed by another Firenza, then my first "Droopsnoot" car, a Sportshatch. I then bought a High-Performance Firenza (which I still have), and a second Sportshatch. The first Sportshatch was sold some years ago, but I have recently purchased it back from North Wales and have begun work on restoring it to its former glory.